What does the Spirit of Service mean? Derived from "espirit de corps," the feeling of fellowship and loyalty shared between a group of people dedicated to a cause, the Spirit of Service can look like many things. It can be thinking about how you can support your community, acting with integrity, lending a helping hand, having a positive attitude, encouraging and motivating others, and being a leader when one is needed. One of our YouthBuild students, Rodger J., does all of those things and more. 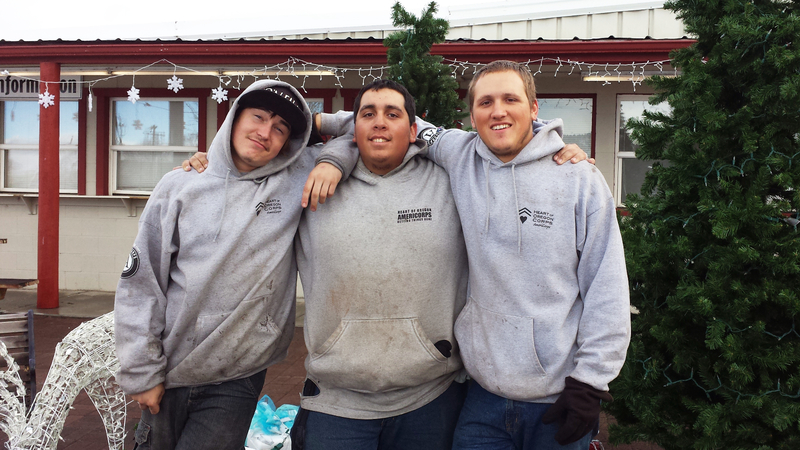 Rodger lives in Warm Springs, OR, and has been in Heart of Oregon YouthBuild since January. Despite his own challenges and barriers, which are significant by all standards, Rodger has shown his commitment to serving his community and becoming a leader among classmates with pure, eager heart. 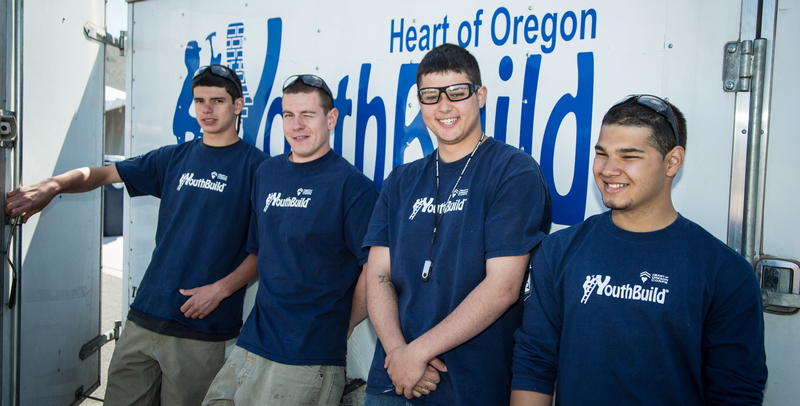 After his cohort finished building an affordable home in Madras, Rodger approached the new homeowner and his family to ask if there was any other way he could help out. He ended up spending the next weekend helping the family move into their new home. This is one example of many that show what an outstanding young man this is. We are so proud to share that Rodger J. was recognized nationally for his accomplishments, and was awarded the 2016 YouthBuild AmeriCorps Outstanding Member Spirit of Service Award! 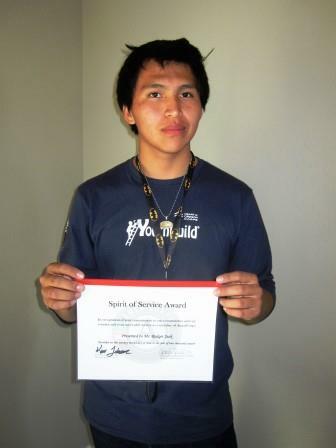 He is flying to Rhode Island to accept this award at a big AmeriCorps conference on August 4th. It will be a trip Rodger remembers all his life. We just want to say a big, warm THANK YOU to everyone who has come together to help Rodger in his travels to the East Coast - especially Indian Head Gaming and Casino in Warm Springs via Janell Smith, Child Protective Service of Warm Springs via Reggie Clements, Warm Springs Tribal Council, Mary McNevins, Caroline Cruz, and Judge SoHappy. 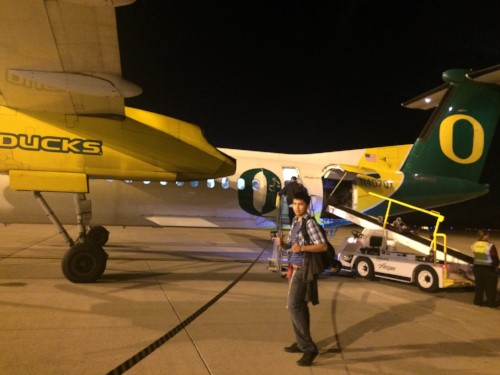 Because of you, Rodger is embarking on an adventure we wouldn't have thought possible. We appreciate all that you have done and continue to do for our youth!